Dr. Segler: Heidi, welcome to the show. To get started maybe could just give us a little background about you and your athletic history, what you do now as a nutrition coach and how that’s all tied together just to give our listeners a little idea of your approach, where you came from and what you’re up to now. Heidi Buttery: Sure! Thanks for having me on your show Chris. I have listened to your other podcast and you have such a plethora of guests. It’s an honor to be one of them. I am a triathlete, as you said, and also a nutritionist. So in terms of athletics, and my own nutrition story, I got into triathlons about five years ago. Before that I casually practiced yoga, rock climbed and just try to stay pretty active. But in 2011 I decided to put everything together and learn how to swim, which is kind of funny because swimming was sort of what was holding me back from even attempting triathlon. I jumped in the pool with Menlo Masters after taking a couple of lessons. Eventually I found my way to a team (Team Sheeper) and after swimming with them for a couple months, I decided to take on my first half Ironman that following summer. When I signed up for that race, I got more interested in nutrition. The typical sports nutrition protocol was to fuel every forty-five minutes. I’ll circle back to timing of different foods along the way, but I had a great race and then decided to sign-up for my first Ironman. If I understand correctly, I think your first race was in Ironman right? Dr. Segler: It was, yes. I had always wanted to do an Ironman. I also figured it was better to start with Ironman because I wouldn’t have any idea of how hard it would be simply because I had never done a triathlon. So I think it was a good approach for me. I think it was great, but in retrospect, if you want to get fast that’s not necessarily the best way to do it because you kind of get used to go really slow. I think it was good for me because I talked to so many people who had done half Ironman or Olympic and they just said “I can’t imagine going four times that long or twice that long.” I didn’t have any those concerns, so although it worked out okay, that’s probably not the best approach. Heidi Buttery: As you can relate, when you are training you’re fueling a lot more and you’re eating more and you’re hungrier. Just to point out a common misconception, I was recently talking to a woman who I’m working with in the triathlon nutrition phase. Between the two of us, we were talking about how athletes get started in a sport and kind of go over “calorie-in and calorie-out” and justify maybe eating even more after workouts, eating a lot of treats, which can lead to additional inflammation on the body. In my own head, in my own thoughts I was thinking about this and sort of how to fuel more. So regarding my initial sports diet changes, it started when I actually went and bought a Vitamix because I heard these were really good for you and then that initial change kind of propelled from there. I started making my own energy bars more than buying store versions. One of the thing I noticed by changing my diet was including smoothies which were mostly leafy green based. I had less inflammation. So I don’t know if any of your listeners or you yourself have taken an ice bath before. Dr. Segler: Oh, yeah I do that after every single Ironman. I buy ten pounds of ice on the way back to the hotel after the race. I try to do that after every race and I also do it after all of my really long bike rides and really long runs. It really helps to shut off the inflammation. It’s not fun sitting in a tub of ice water, but the truth is I don’t think mile repeats are fun either. Heidi Buttery: Jack LaLanne, one of the pioneers of fitness, he actually said, “If it tastes good spit it out.” But like you said, we will talk a little bit to nutrition alternatives to gels. Some of athletes initially might say that kind of tastes different or maybe less sugar, but like you said it will lead to better performance. Dr. Segler: It’s kind of hard to imagine really how can something that is salted caramel flavored or cake batter flavored, how can it necessarily be good for you? It’s interesting that’s the taste that they use to market those gels. Heidi Buttery: Right! It’s a multi-billion dollar industry. So I will speak to UCAN which is one of the few products I recommend. I mean there’s sort of a spectrum, but I can speak to it. What I recommend to people is very authentic to myself and I don’t really stand behind products that I don’t believe in. So I can kind of speak to that a little bit more about going back to the ice bath. So that was something that I probably did more frequently and I don’t have to do as much. Now as you said, following hard training efforts and Ironman races, inflammation reduction is definitely key. I’ve been to races where they even have the ice right there in the finish area so you can jump in. Making those transformative phases I was able to get leaner which was great. So we’ll talk about body composition related to diet and I had a great race accordingly. There’s a lot that goes into a race as you know so nutrition is a big part of it. I think it’s key but there’s also many factors that affect performance. But obviously I wouldn’t think that good nutrition is the only way to have successful race. Dr. Segler: You know there are lots of stories about faulty fueling and still succeeding. So we can always take whatever evidence we want and use it to justify our behavior and there are stories. I don’t remember who it was but there was the classic story of a guy who sat on the curb and ate a big roast beef sandwich right before the Boston Marathon, and he won. Max Longree would always eat a huge cheeseburger at the finish line at Ironman races when he would win. There’s always some way to say “Okay well that’s okay because obviously I just won the Ironman and I can eat a cheeseburger if I want”. Max is a funny guy right? He’s very interesting. He’s obviously very fit. He has always has been an incredible runner and maybe he can get away with that. Obviously one of the main focuses of the Doc On The Run podcast is to help runners avoid injuries. These choices matter. We know that your life stressors can add up to compound risk of injury. Work stress, emotional stress, environemntal stress, poor diet. All those things can make life more stressful and predispose an athlete to an injury. Personally, I really believe that the greatest contributors to running injuries is improper fueling because the muscles aren’t fueled properly, they can’t be at their greatest strength. Weaker muscles, tendons and bones are all more prone to stress related over training injury. So that’s where I think the importance of all of this comes in. And as you said, there’s a better system of not just eating the standard commercially available gels. But we’ve heard so much about “you need to get leaner,” if that’s really true or not. But there’s good fat and bad fat right? 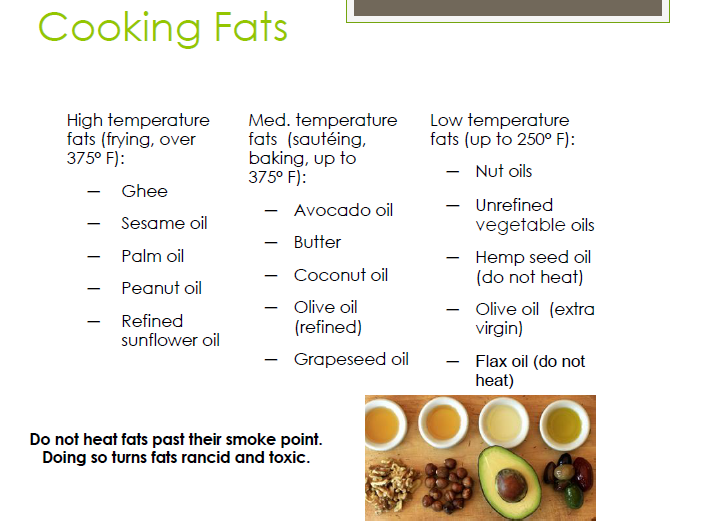 So why don’t you a little bit about the differences between good fat and bad fat as it pertains to fueling. Heidi Buttery: Right, great point! Some athletes could actually be fuuling with any sort of bars and get away with it. I should point out some of the implications of my work in the fat fuel athlete area. There is a nutritionist Dr. Cate Shanahan. She just wrote a book called “Deep Nutrition.” She works with the LA Lakers who actually brought her into improved diet where a lot of the athletes who are fueling with Doritos and they could get away with a lot of it. But they wanted enhanced performance. So I believe it’s the Lakers. I’m sort of thinking now, but it’s a little bit early! Maybe it’s not the Lakers. But it’s a professional NBA team who does really well. So she’s taken the fat fuel approach applied it to their athletes and has had a lot of success. I would say on a professional level, there is always room for increased performance. In terms of fat, there’s so much that can be said. I just kind of want to go back to about 40 years ago to give you a little bit of history on why we have negative thoughts around all types of Fat. As you said there’s good fat and bad fat. There was a seven country study which was done just about forty years ago. It looked at saturated fat intake. 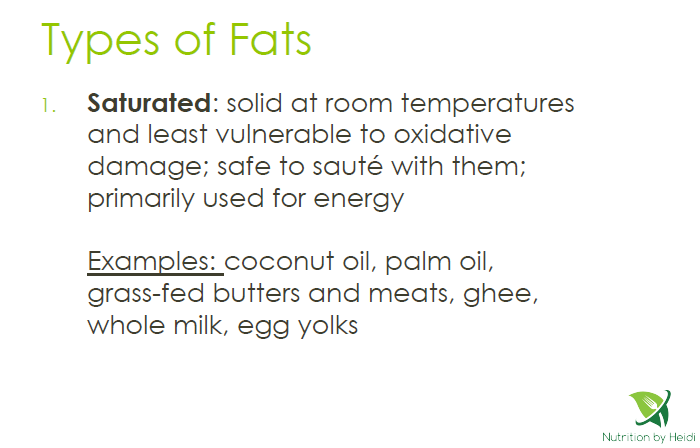 Saturated fats are coconut oils (which now we know are good for us), grass fed butters, egg yolks, whole milk, etc. The study compared saturated fat intake levels with heart disease across seven countries. The results did show a correlation of incidence between the two. Now it’s important to note here that it’s correlation, not causation. However when the researcher was taking this into account, they ignored about twenty-two other countries that had plenty of saturated fat, but no connection to heart disease. Also, the study was flawed because it didn’t take into account other factors. We talked about other factors kind of going to race performance weight loss. But it didn’t take into account smoking rates, sugar consumption or exercise levels. Unfortunately this became the base of the government changing to a low-fat diet and it kind of propelled us to where we are today. There’s a lot that goes into the history of fat research, or should I say maybe even a little bit, but we base a lot of our common knowledge on these ideas. I’d like to just talk a little bit about the function of fat, what it does for our body. Then we can talk about fat myths. I think some of those good fats and bad fat ideas will come out of that discussion. First, I think many people know that there are seven calories in a gram of fat, and only four calories in a gram of sugar. So this makes fat much a more concentrated source of energy. When we talk about fueling you can relate this to athletics as well as regular diet. This means if you can get your body to burn fats as a source of energy, you will need less fueling. There would be no need to fuel, even if you cycle an hour. I think that’s a benefit, there’s less thinking about nutrition if your are burning fat. As far as sugar goes for fueling, it is definitely an option. But I this discussion, I will will point out that I’m going to be focusing on the more extreme side of fat fueling. By extreme I mean if you’re fully fat-adapted, but there are benefits just taking in a little bit of sugar when fueling. When you have too much sugar, it’s going to put your liver into overload. I’m not sure if you’re familiar with the statistic, but about 31% of Ironman competitors have some sort of GI distress when they race. Dr. Segler: Yeah, stomach upset during and Ironman race is a pretty common problem. One of my really good friends, we have done races, lots of races together and he has twice had very serious issues and hasn’t finished a couple of Ironmans. It was all GI related. Now, I’m not a nutritionist. But I spent a great deal of time riding and running in the mid-day heat, logging and tracking how many gels I could eat, how much water I could take in, and how many salt caps I could take in, before I would get nauseated and start vomiting. After all of that experimentation, I had a very specific plan of exactly how many minutes, at how many watts, before I needed to take in food, fuel and water. Although that’s certainly better than not knowing exactly, there has to be a better way than the micromanaging of fuel intake to avoid GI distress. Heidi Buttery: Yeah, but what’s great is that you at least figured out your fueling strategy. I have to just say you bring up an excellent point of testing nutrition before the race day. I’m working with an athlete now who started working on a minor shift to fat fueling by starting her day with an avocado breakfast. There’s a recipe on my website for an avocado breakfast. So this simple recipe actually keeps her sustained from swimming masters for about an hour twenty minutes and then takes her to the track and she doesn’t feel super hungry after. Because she isn’t hungry, she can focus on her workouts. I think as a side benefi is that you can focus on the race. You’re not thinking “Okay, at x mile I’m going to have to take in a certain amount”. Dr. Segler: Exactly. So I have had people ask me, “What do you think about when you’re on the bike during one of those races?” Basically all I think about is my wattage and I am literally watching wattage and time, that’s it. I’m basically just thinking “Okay how many more minutes before up to take in another gel, another salt capsule or water. Believe or not, it does keep me busy because is a lot to manage when fueling with sugary gels. Heidi Buttery: Right, for sure! 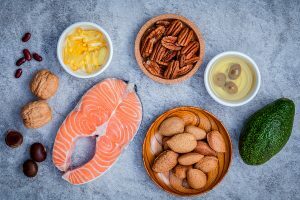 And just to touch on the benefits of having enough fat in your diet, having adequate stores allows transportation of the fat soluble vitamins. I’d like to also say that there is nobody that’s exempt from needing every vitamin and every mineral including athletes who need more micronutrients that they can take in. We want to make sure that these vitamins and minerals get taken throughout the body. 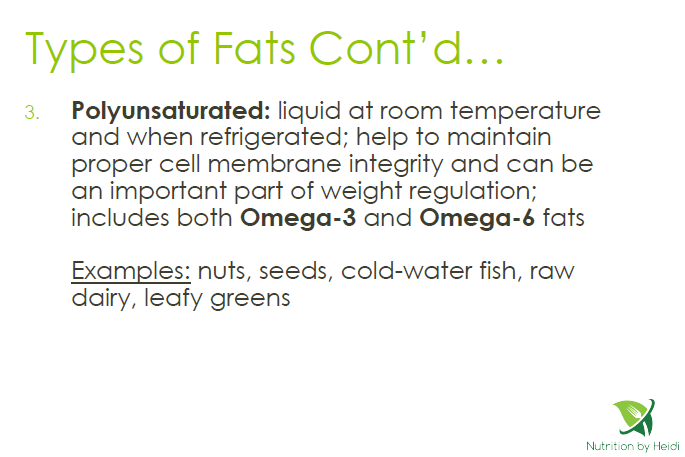 So that’s through hydration, vitamin transport also depends upon healthy fats. Dr. Segler: Right! Because nutrition isn’t what you eat, it’s what gets absorbed, taken up and used by the cell. That’s the first step in the whole process. As an example, I was doing a remote consultation call with a runner last night who has had chronic injuries and Irritable Bowel Syndrome. She can’t get all the nutrients as easily as someone who has normal gastrointestinal function. If she and I were to both eat the exact same meals, I would certainly have a different utilization of the nutrients than she would with the exact same intake of food. So you to have to address any malabsorption issues, and a low fat diet can affect absorption, right? Heidi Buttery: Exactly it’s kind of funny because that when I was studying I had this concept of my teachers would say that “You aren’t what you eat, you are what you absorb.” So talking about bioavailability, how much is coming in, I was giving a talk to a mom’s group a couple of years ago and some of the moms were amazed to learn that they were giving their kids cereal hat would say eight grams of protein. Well absorbability of protein is not going to be the same is if you had say three ounces of grass fed meat. Dr. Segler: Right, it’s totally different. All these protient sources really can differ in terms of the amount of nutrients you absorb. Absorption has something to do with timing as well. So what about fat nutrition and timing? I would track fluid and fuel intake during my long workouts and does this differ as to someone who has shifted to fat based fueling? I think that’s part of the questions with endurance athletes. We want to be lighter and faster and” you are what you eat.” So we think and if you eat more fat, we think “Well I’ll get fat. I won’t be at my race weight.” Maybe you could explain a little bit about nutrition timing, and how fat fueling differs from conventional fueling. Heidi Buttery: Sure and if you don’t mind it like to kind of work in a personal story about a local race that I had that kind of supports the this idea. So as you said about fat, people equate dietary fat with body fat, with adipose tissue. I think there’s a common thought that “Okay if I’m ingesting fat, I will get fat” and there’s several factors actually to weight gain in and of itself. But I think that one of the biggest problems with fat is that it’s called “fat.” One of the podcasters that I listen to up, as they said the only problem with that it’s called that. But he said if they were called energy everybody would want it right? And so just to kind of explain the chemistry behind it. You have access glucose in your system. So I like to point out with athletes this sugar could come from energy bars, and there is such a wide variety. I’m sure you’ve seen also energy drinks that will have up to 30 grams of sugar. We only have a couple teaspoons of sugar in our blood at any given time. Sure, we’re going to be burning that blood sugar by exercising. But excess sugar actually get stored as fat. So it’s not the fat but it’s actually the extra sugar. There’s a saying that’s now circulating that fat doesn’t make you fat, sugar does. Now for everybody reading this, they’re going to have their own ideal body weight, body composition and just by increasing the proportions of sugar and fat in their system and kind of taking down sugar, they’ll have less sugar stored in the liver and the muscles and just adding fat to their tissue. In terms of timing and I was just going to speak a little about protein shakes and stuff like that. But I just kind of wanted to get into one of my own story about racing. A couple of years ago I implemented a fat fueling approach. I had a son about a year ago. But I would say before he was born, I was really experimenting, getting into performance nutrition. I was doing a race called Big Kahuna, now it’s known as Santa Cruz 70.3. I’m actually going to a sign up and return to that race this year. I was really excited about that race because I could kind of play around with my own performance nutrition. The year that I did Big Kahuna, which is in Santa Cruz area, I was really kind of really deep into the fat fuel approach. So we can talk about ratios to keep for fat protein carbs. But at that time I was primarily fat fueling but I did have some sugar. So I want to point out that you can strike a balance between the two but if you work to go fully fat adaptation that does require ketogenic diet where most of your intake will be from fat. Make a long story short, I had breakfast at home, had my coffee along the way, got in the water, had a great swim, got on my bike and realized they made a rookie mistake. I had a new triathlon kit that I was wearing from my team and the pockets were very small. So at the time I had nutrition and also at that time I was thinking I want that bike PR. So for me personally I was trying to get my first sub three-hour trying to score nice half marathon time and I went to put my nutrition and it fell out and I’m fumbling. You know what the transition areas like right? Especially when you’re going for your PR. And with Santa Cruz you actually have to run up the sand up to the transition area is actually up a little bit up a hill inclined so traditionally if maybe it took you two minutes to get going, get on the bike this ads a couple minutes to it. It’s a little bit tricky. I was stuffing my nutrition just really quickly, I get out in the bike, it falls out of my back pocket and I thought “Okay I’m going to have to really try to use this fat fueled approach during the race now”. But I thought that’s okay, I can get the aid station and hit that up between twenty, thirty miles into it. Get some nutrition, put it my back pocket or take it if I need to. I’m going along Route One and you see what you don’t want to see on a race course. You see ambulance, fire trucks beating by. Turns out one of the athletes who was later okay but basically collided into the only aid station on the course. So this aid station, they didn’t have someone on the other side of the road. I don’t think at that point. But this this race in itself was kind of not run like a traditional Ironman race so wasn’t as many people on the course of volunteers. The aid station just got completely taken out. So you know they were directing cyclist to go around and I had no nutrition since breakfast pretty much and here I was speeding along. I came in it was either six or eight minutes under my goal time or I should say I need my goal and l kind of blasted through it, went on to have a great run and that story really stuck with me because I was able to access the fat stores. Dr. Segler: Most people would here that story and say “Okay, you came in six to eight minutes under your goal then you probably had to walk the Half Marathon. Heidi Buttery: Right! I think I had use a little bit of natural sugar along the course. Maybe it was like a banana halfway through. But that was more just to kind of kick into the high gear. I do want to point out the concept that even very fat adapted athletes and so there’s a couple of hundred mile reserves now on foot race that will fuel primarily with fats but they also sugar trickle. All you need is a little bit. It tells your brain “Okay let’s put into high gear”. It allows you to even use a little bit of sugar to gain performance edge. Yes your body doesn’t get so resistant and it needs more and more to kind of function at that level which can add to the GI stress. Dr. Segler: Yeah, now that’s interesting. So certainly for anybody doing Ultras or Ironmans or potentially the marathons that can be a really useful strategy. Right? Heidi Buttery: Yeah, so we can get into talking about how it can be used in sort of the process. Dr. Segler: How do people make that shift because so many people think well it says on the gel, fifteen minutes before and every forty-five minutes throughout your run or your ride or whatever you’re supposed to be eating these gels. We don’t know of course if that’s right for everybody anyway. But at least there are some instructions on how to get started when you buy those gels. So what about people who kind of fat fuel or maybe do the sugar trickle on top of that like how do endurance athletes fuel that way as opposed to fueling with gels or sports drink. How they make this shift to fast fueling? Heidi Buttery: If we’re talking about an athlete I’m just going for small fat adaptation. This athlete is going to go beyond storing the two thousand calories of fuel as sugar and they could get upwards of even the leanest athletes that maybe four to five percent have access to tens of thousands of calories all for fat. So they would need much less fueling on the course. I’m going to speak to the fully fat adapted athlete and kind of take you through that process. Generally what the athlete would do would be to clear out the sugars. There is a two to three weeks carb restriction period so that your body can actually learn “Okay I’ve got this alternative source, let me use it.” Athletes will notice a little bit of a dip in performance, some more than others. But we’re thinking about this in the long term especially applying for endurance athletes. I’m sure you’re familiar with the long training block. This sort of approach I would say best implemented at the beginning of your training season. Certainly you can do before but ideally you want to pair it with this with the fat burning stage. Your body gets really in sync with burning fat. It will burn fat as fuel and then it will burn body fat as fuel to kind of keeps you going. That’s a slight drawback because some people might not like that. Dr. Segler: Yeah but it’s only a drawback if you’re shortsighted and I think that most endurance athletes are used to this concept. I mean we do based training and Mark Allen often tells a story about when he was doing his races. There’s this German guy that he would ride with and this one particular ride they would do when they would get the top of the mountain like in the middle he would get to the top and the guy would be circling and he would say Mark, Mark I’m going to beat you in Hawaii and he would never beat him in Hawaii because Mark was looking for the long game. Fat fueling, it sounds like you really need to pay attention to long game here and if you have a really intense race season, it’s probably not the time to make the shift. Unless you can give up some of your performance in the short-term. Heidi Buttery: Exactly! So for some of the pro basketball players I was talking about. Some of them only noticed in three to four days that they were able to switch to be coming more fat adapted. Genetics plays a role, certainly maybe in that case. But it’s funny that you bring up Mark Allen because he actually changed a lot of his fueling techniques to burning less sugar and when he talks about going back to similar to your story, I’m not sure if you heard but he would get passed by ladies in their 60’s and 70’s when he was on a training run and running uphill at the beginning and they would say “You can do it, you can do it”. He would walk for some of that when he was getting up the hills and running. Yeah, so that’s a consideration definitely to me when you clear out the sugar, there’s a twofold approach. So you could take the complete plunge and go cold turkey or gradual. With my clients, I actually do more of a gradual approach because of what I find is commonly in diets of people will have a lot of hidden sources of sugar. Now for myself, I actually like the cold turkey approach and there’s been success with both. I think people could either find their groove in either. So if people were to completely dropout sugar, they need to be eating something and UCAN doesn’t interrupt the fat burning process. Even though it’s a carbohydrate. The way that they make it, it’s a 24 – 48 hour period and it’s a SuperStarch. So it acts like a fat but it is a sugar. It can be kind of confusing but basically it would work with the approach. So if you have an athlete that was like “I can’t just like completely cut this out”. Well they can transition and eventually use the UCAN but Jeff Volek and Stephen Phinney are sort of the pioneers in the fat fueled approach and they would recommend to take out that full three weeks and then to add in something like a UCAN. So their bodies can fuel and like I said tailoring the training to being zone 2 will really ignite that fat fueling approach. Dr. Segler: So you when you say this whole cold turkey approach, it’s kind of like a ketogenic diet right? Heidi Buttery: Right, exactly! So this is where it is useful to work with somebody in the field that understands it because there are also considerations that whether you go cold turkey or gradual are important changes to make to diet and especially for cold turkey. So this isn’t managing your micronutrient levels specifically if we can just get into these minerals just for a little while because I think cramping is so common with athletes, just to talk about potassium, magnesium and sodium levels. To continue with the fat adapted approach. When you restrict carbohydrates and you’re fueling from a fat source to store sugar as fuel, the body also need to store about three to four grams of water and salt. You would be losing that. So that’s why people right off the bat will say “Hey lost five times this week”. Dr. Segler: Exactly! Even if you did not lose five pounds of fat the first week. Heidi Buttery: Exactly! So even on a fat fueled approach and changing diet, you might lose five pounds and some of that may legitimately be body fat but as you said it’s not going to be five pounds of body fat. Dr. Segler: Oh yeah! I mean I have a friend and he’s a very very fast triathlete and he lost sixteen pounds during Ironman Hawaii one year and that was not fat. You don’t lose sixteen pounds of fat or even one pound of fat in eleven hours. It just doesn’t happen. Heidi Buttery: I think that if that were the case there would be a lot more people trying to do it. Just to address those micronutrient levels and again I think this is the power of working with somebody that understands this if this approach is something that appeals. So talking about be the sodium levels, traditionally athletes will need to consume about one to two grams of additional protein sodium per day. I have experimented with it because I think cost is the factor. How to get this and quality is a factor. Bone broth are becoming even more popular. Companies are freezing them and mailing them to client. So I don’t know if you’ve seen sort of an increase in the popularity of people having bone broth or veggie broth. Dr. Segler: Oh yeah, I see patients all the time when they have stress fractures and will ask “What about bone broth? You think that’s good?” That’s definitely not a question I got five years ago! Heidi Buttery: Yes, I’ve seen it in New York City. You can buy bone broth for three to four dollars for a cup of it. Bone broth is a great staple and it provides collagen, which as you know is very important. But to get that amount of sodium from bone broth, I’ve calculated this among different brands, you probably have to have five or six cups. So what you can do in high-quality bone broth it isn’t cheap necessarily, you can make it your own. But if you want it be standing over, watching the stove to get that high quality 24-hour bone broth, slow simmer it. It just requires a lot of time and I know a lot of us are time conscious. There are high quality bone broths which you could add sea salt to. An alternative that I’ve seen work for people is actually by vegetable bouillon cubes and you just add this to hot water and they’re very concentrated source of sodium. Dr. Segler: So this just adds in this little bit that you’re missing, right? Heidi Buttery: Exactly so if you want to add this supplement to your diet, it’s called supplement but it’s really just that the mineral that’s lacking. You might experience a fatigue and you might say “Hey this approach isn’t for me”. I want to point out too that if it’s not broke, don’t fix it. I think if your fueling strategy is providing adequate energy, you’ve got short recovery times then maybe not change it. But there are definitely benefits to just reducing sugar, reducing inflammation in the body. Dr. Segler: Right, that kind of brings us back to the primary focus of the podcast, which is to help runners recovery faster and avoid injury. You have to just discern whether or not something is working for you. The way I think about is this: if you’re going as fast as you want to go, if you’re if you’re achieving your goals and you’re not having problems as a result of achieving your goals, then it’s probably working for you. If you’re going fast but you would routinely or consistently or seemingly without cause get injured and you can’t really figure out like “Why did I get this a stress fracture?” “Why did I get this Achilles tendon issue?” “Why did I get plantar fasciitis?” If you don’t understand why you are getting injured, then you have possibly just accumulated inflammation that’s contributing to the injury cycle. But that maybe because you’re missing is micronutrients, maybe because you’re improperly fueling, right? You have to do something about that inflammation. One of the big keys with injury is reactive oxygen species and it’s widely accepted by both doctors and runners. I think that free radicals and reactive oxygen species can contribute to tissue damage and in that respect overtraining injuries. It’s also been known for a long time that if you cook with certain fats and you overheat them, you’re more likely to produce free radicals. They can be harmful because they stimulate more inflammation in your body. With that idea in mind can you just help us understand a little bit about how the fat fueling idea can actually reduce the amount of reactive oxygen species in your system? Heidi Buttery: Yes. One of the things too that you just touched on that when you speak about fat to an athlete, or anyone else that’s interested, is cooking oil. I have a great slide that I can provide you to maybe provide the listeners. Sort of what’s good to cook with, what’s good to saute or bake in the oven. As you said, reactive oxygen species is tied to inflammation, is tied to aging, injury and there is evidence that’s showing if you were to move to a lower carb producing sugar that you’ll actually take down that systemic inflammation. So as you know with inflammation, it actually does serve a purpose at a small amount. If you have any sort of injury, it’s going to direct white blood cells over to heal the injured tissue. The issue is, and I see this with lot of endurance athletes, is the chronic, the systemic inflammation from training. Some of it is diet related. They are taking in excess sugar, maybe eating more after their training. This changes when you switch to having fats, whether you’re a fully fat adapted athlete or not, there is actually less cellular damage. As you said, if everything is falling into place with their current fueling strategy, keep it. I will speak to the benefits for this approach for fueling with fat, teaching your body to use fats on race course, and on training days. Fat fueling is going to help in those three to four hour plus events. I’m currently working with somebody who for a marathon, is fine with energy gels as fuel, but when they hit than Ironman distance, half Ironman distance, that approach doesn’t hold true for the whole race. So getting something that’s going to be less inflammatory to the system is pretty important. Dr. Segler: Well that’s not easy to do and it certainly is an interesting idea. But it seems like there would be an enormous amount to learn for somebody to do this, to properly make the switch to fat fueling. Which of course the benefit of working with somebody who’s already figured it out. There’s so much information available to people training on the topics of how to do their progressions and how to taper before a race and all that. Those aspects are pretty well ironed out. But some of this other stuff like fat fueling is not so clear and so that’s why obviously an athlete would want to work with somebody like you. Somebody who understands nutrition, who understands racing can be extremely helpful. 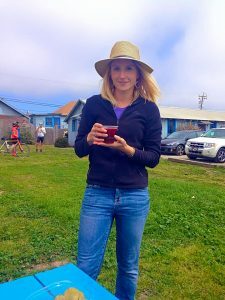 What is the best place for runners to find you and learn more about how you could help with their nutrition plan, fat fueling and racing goals. Heidi Buttery: I have been approached by individuals who come from different diet background. So perhaps they are with a vegan background, vegetarian. I’m actually trained to work with all types of diet which I think is an important thing to point out that something that I think just to kind of put that out there if you are eating primarily plant-based or perhaps have more meat in your diet and we can certainly work that way and we can work from either sugar fueled, semi-fat fueled. I’m on the social media outlets, Google plus, Twitter, Instagram, Facebook. I would say I update my Facebook page with current articles most often. Also, my webpage http://nutritionbyheidi.com/, you can subscribe to my quarterly newsletter. So you would get any sort of interviews, these are articles that I’ve contributed to. Runners can also just email me at info@nutritionbyheidi.com. 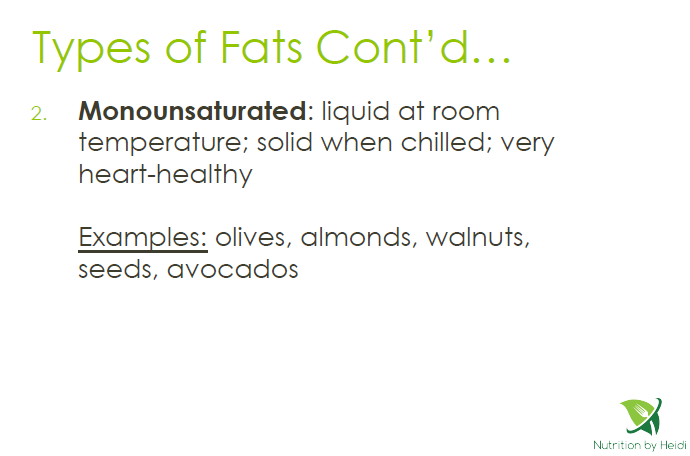 Dr. Segler: We’ll put all those references here on our site so the visitors can access those and reach out to you with a question about fat fueling. I really appreciate you coming on the show. It’s been extremely helpful having this different approach explained because I think it’s one that’s not really been widely promoted. But it certainly makes a lot of sense. 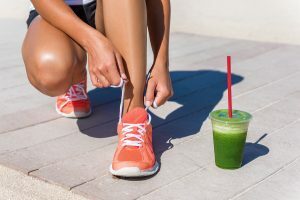 Anything atheletes can do, to not only stay fueled and go faster, but stay properly fueled and help avoid over training injuries and chronic inflammation can certainly be helpful. So again, I really appreciate you being here on the show. Best of luck to you in your upcoming race in Santa Cruz! I’m sure you’re going to kill it and I expect that in spite of that uphill run in the sand, you’re going to get another PR. I’ll be interested to hear how that goes. Heidi Buttery: I’ll have to make sure to check the pockets on my tri top! Dr. Segler: Alright, thanks Heidi! «« Can I Run With A Broken Toe?